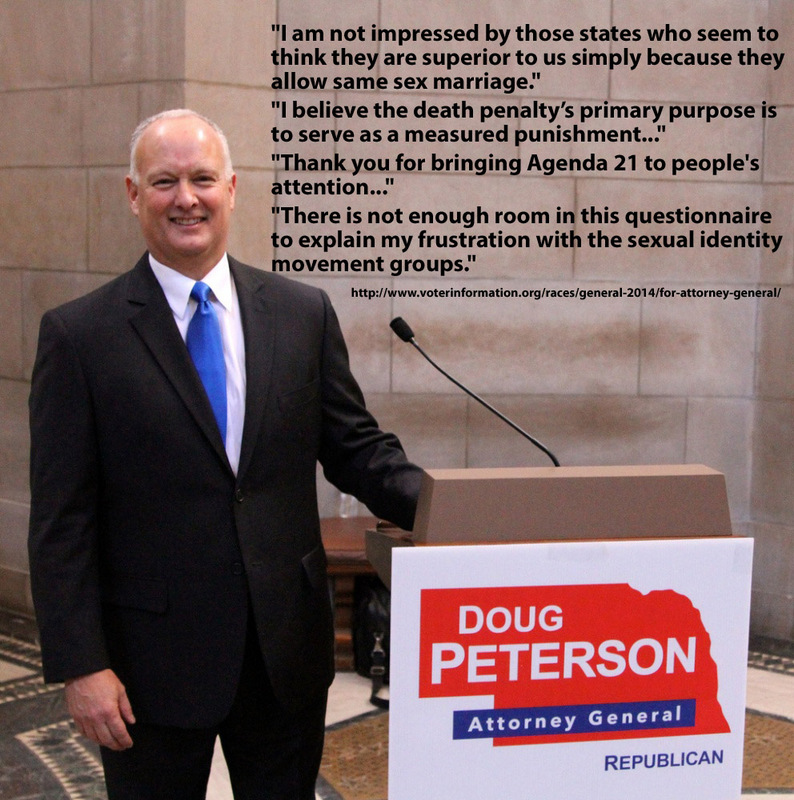 Nebraska Attorney General Doug Peterson, elected in 2014, has unstintingly spent state funds to oppose every LGBT equality measure he could obstruct. 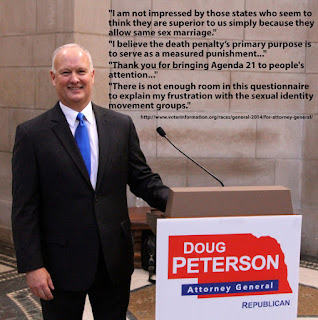 Now his jihad against the transgendered continues, fueled by Nebraska taxpayers. After initiating a 10-state suit over Obama's transgender guidelines for students, he has now joined Texas in another costly federal lawsuit, this time targeting the nondiscrimination health care mandate in Obamacare to screw over the transgendered in that arena. The lawsuit filed Tuesday in a North Texas federal court seeks to block parts of a nondiscrimination mandate of President Barack Obama’s health care law. Republican state officials say the rules could force doctors to help with gender transition against their medical judgment or religious convictions. Transgender rights advocates called that a far-fetched hypothetical and say the rules simply require doctors to make decisions without bias.